An egg is actually 3 separate individual foods, the whole egg,the yoke and the egg white, each one having its unique distinctive dietary profile. A whole egg is really a high-fat, high-cholesterol, high-quality protein food packed within a high-calcium shell which can be grounded and included in many recipes. Those proteins inside the eggs, having adequate levels of all the crucial amino acids, are generally 99% digestible, a norm in which all other proteins are usually evaluated. 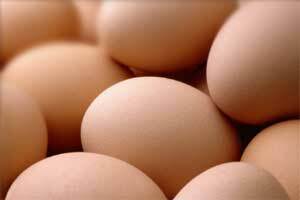 The egg white is mostly a high-protein, low-fat food having hardly any cholesterol. The main essential vitamin is riboflavin (vitamin B2), an obvious supplement that provides egg white a rather greenish cast. Uncooked egg whites consist of avidin, an antinutrient which binds biotin a B complex vitamin previously referred to as vitamin H, into an insoluble substance. Cooking the egg inactivates avidin. An egg yolk is a high-fat, high-cholesterol, high-protein diet, an excellent source of vitamin A produced from carotenes consumed through the laying hen, plus vitamin D, B vitamins, and heme iron, the sort of iron most easily absorbed by your body. 1 large egg has 5g fat (1.5 g saturated fat), 212 mg cholesterol, 6 g protein, 950 IU vitamin A (19 percent of the RDA for a man, 23.7 percent of the RDA for a woman), and 0.72 mg iron (4.8 percent of the RDA for a woman of childbearing age). One big egg white has 4g protein, but no Fat or cholesterol. One big egg yolk has 6g fat (1.7 g saturated fat), 272 mg cholesterol, 3 g protein, and 970 IU vitamin A (19.4 percent of the RDA for a man, 24 percent of the RDA for a woman). The most healthy method to serve egg is by using more whites and less yolks to reduce the fat and cholesterol per serving. Those on controlled-fat, low-cholesterol diet plan or low-protein diet regime ought to leave out this food. Try our delicious spicy scrambled eggs recipe for a nutritious meal.